The efforts to woo a community, a significant part of which is of Turkic origin, identifies itself as Turkestani, and long supported greater rights, if not independence for Xinjiang’s Uyghur population, are part of a larger, long-standing global Chinese effort to ensure the support of a mushrooming Chinese diaspora not only for its policy in Xinjiang but also for its anti-Taiwanese One China policy and growing economic and geopolitical influence. "Tukestanis…do not identify as ‘Chinese in the ethnic, cultural or even geographic sense. Parts of this cluster perceive themselves…as being part of an oppressed group whose homeland is currently under Han occupation," said Muhammed Al-Sudairi, a Saudi China scholar and author of a recent report on the Chinese efforts in Saudi Arabia. China’s Xinhua news agency meanwhile reported that President Xi Jinping would visit the United Arab Emirates this month on his way to a BRICS (Brazil, Russia, India, China, South Africa) summit in Johannesburg. Mr. Xi visited Saudi Arabia, Iran, and Egypt in 2016, the first visit to the Middle East by a Chinese head of state in seven years. Quoting Mustafa Kemal Ataturk, the visionary who carved modern Turkey out of the ruins of the Ottoman empire, Mr. Nazarbayev told a gathering in Ankara in 2012 that "the time will come when all the Turks will unite. Therefore I want to greet all the Turkic-speaking brothers. Between Altai and the Mediterranean Sea, over 200 million brothers live. If we all unite, then we will be a very effective force in the world." The consulate, since Mr. Habibullah’s appointment, conducts events not only in Mandarin and Arabic but also Uyghur, according to Mr. Al-Sudairi. Mr. Al-Sudairi attributes the focus on the Saudi Uyghurs, one of the largest and wealthy Chinese Turkic diaspora communities, "to the role of this community as a stronghold for anti-Chinse and anti-CPC (Communist Party of China) sentiment in Saudi Arabia, and one that has had some influence in shaping Saudi elite and popular perceptions toward the PRC (People’s Republic of China) and CPC." 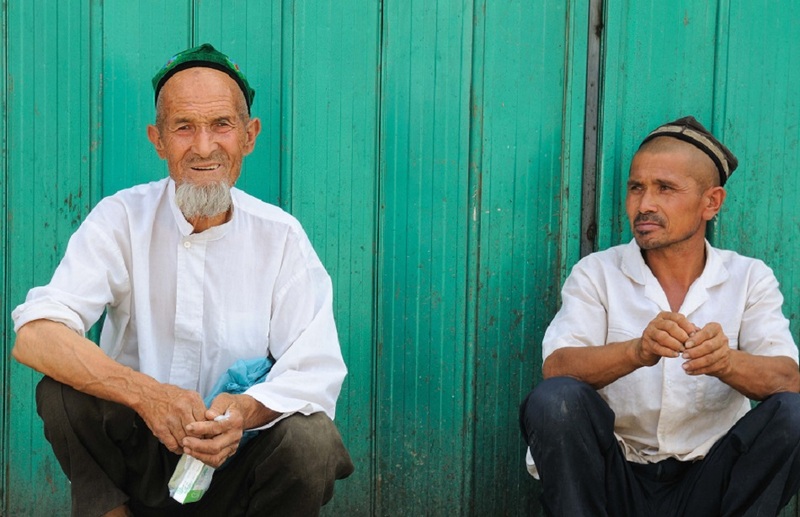 Saudi Arabia, however, while at times critical of Chinese policy in Xinjiang, ensured that the plight of the Uyghurs did not fundamentally affect official relations. Moreover, no senior Saudi scholar has issued a fatwa or religious opinion on the issue. "Uyghur persecution by China will not stop the Saudis’ engagement with China, nor even slow it down," said prominent China scholar Yitzhak Shichor. "In January 2018…Politburo member and former Foreign Minister and State Counsellor, Yang Jiechi, told the National Overseas Chinese Conference that the government should expand and strengthen ‘Overseas Chinese Patriotic Friendly Forces’ in the service of the ‘Great Rejuvenation’ of the Chinese nation. In plain language, what this means is that overseas Chinese should be persuaded, induced, or in extremis, coerced, into accepting allegiance to China as at least part of their identity," said Bilahari Kausikan, a former Singapore diplomat and chairman of the National University of Singapore’s Middle East Institute, in a recent speech. "This is leading China into very complex, indeed dangerous, territory. China’s navigation of the complexities has in many cases been clumsy," Mr. Kausikan said, noting that the policy had led Chinese diplomats to openly interfere in the domestic politics in for example Malaysia. "Since my retirement, I have traveled extensively in Southeast Asia, Central Asia, and the Middle East. Complaints about similar behavior by Chinese diplomats and officials are all too common in all these regions; in fact, so common that it is becoming somewhat tiresome to listen to them," Mr. Kausikan said.